I received a lovely present from my long-time craft-blogging buddy Mimi: "An Apple a Day" die set from Sheena Douglass. Just in time for apple season! The sentiment is a freebie from Ginger's House. I cut/embossed the apples from a shiny, textured cardstock & added a bit of red with a Copic marker & colorless blender. 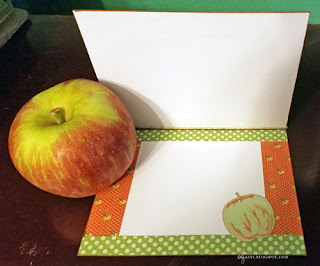 I've been hoarding this apple-patterned paper from Graphic 45 for years, and I'm glad I finally found the perfect project for it! I printed the sentiment onto printable acetate, and used my papercutter to create the frame with cardboard & a wood-patterned paper. 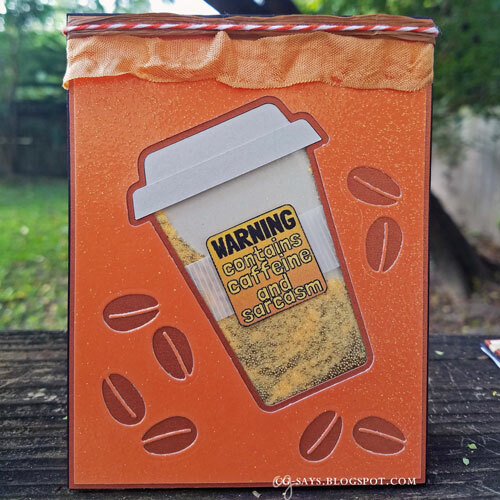 The shaker is filled with gold & orange microbeads and orange hearts. I used my scraps to decorate the inside, pictured here with an inspirational apple my husband got at the farmer's market this week. Our theme this fortnight at Crafting with Dragonflies is Cards with Stars. 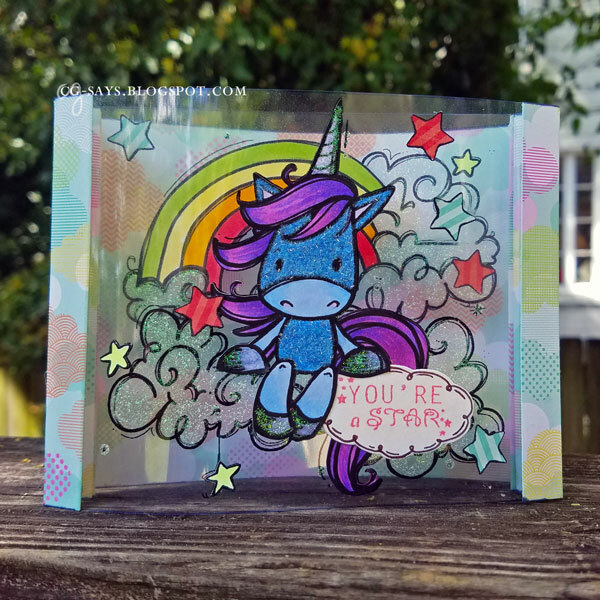 I made a Shadowbox card featuring Bugaboo's Unicorn set. I printed the images on two pieces of printable acetate. 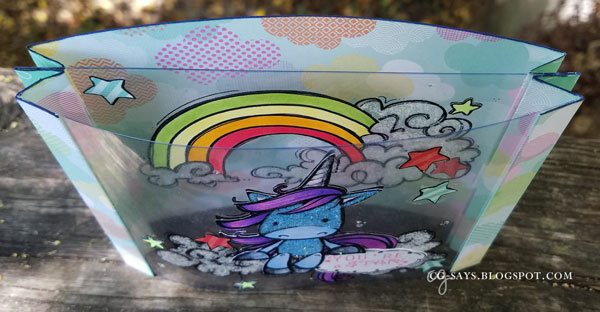 I also printed the rainbow, stars, and unicorn on regular cardstock, colored them with Copic markers, fussy cut them & glued them onto the acetate. I used glitter glue to fill in the clouds, and also on the unicorn's horn & hooves. I added blue glittered flocking to part of it's body. The larger stars are punched from striped paper. The sentiment (freebie from a magazine) is stamped in a bright pink (Lawn Fawn) onto a shiny paper & cut out with a Latina Crafter die. I doodled the frame. I actually used just one piece of double-sided designer paper for the base. The middle piece is secure by gluing two of the accordion-folded pieces together on each side. The acetate naturally bows but it still closes completely flat. 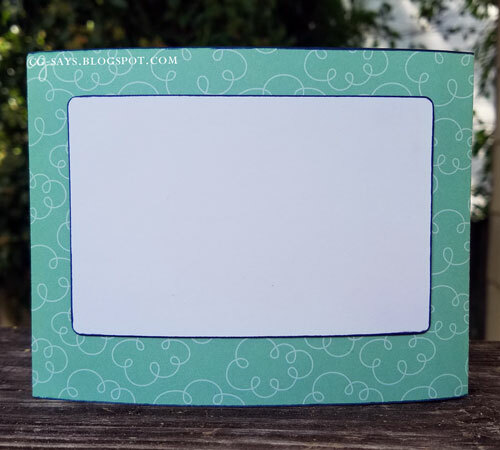 I added a message section on the back; I could have attached the piece to a traditional folded card base, but I wanted to show off the other side of this pretty paper! Update: This was chosen as one of the Top 3 at Crafty Gals Corner! 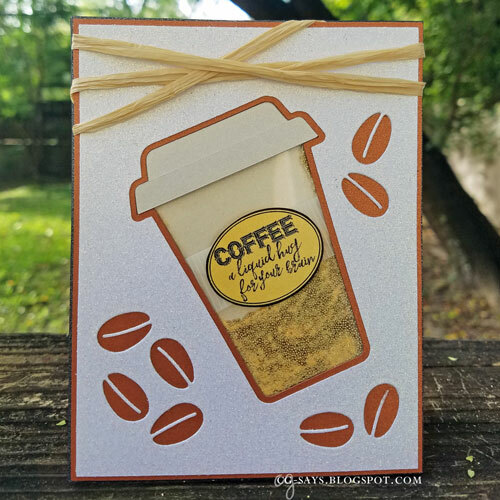 Have you been hopping with the Coffee Loving Cardmakers? Can you believe all the creative ideas‽ Of course I had to make another project! 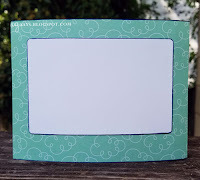 This time I made a pair shaker cards, using my Silhouette Cameo and Coffee Cup cut files by 17turtles/Juliana Michaels. I filled the shakers with gold microbeads & Apricot-colored glitter. 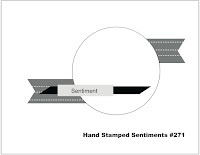 The sentiments are from Doctor Digi's House of Stamps, and are printed on a shiny yellow paper. The sleeves are cut from a striped vellum.The lids & cup backgrounds are two tones of shiny white papers. I used a coffee beans die from Elizabeth Craft Designs to decorate the glittered paper front panels. Happy Autumn! A new season means a new Blog Hop with the Coffee Loving Cardmakers, and I always enjoy playing along. 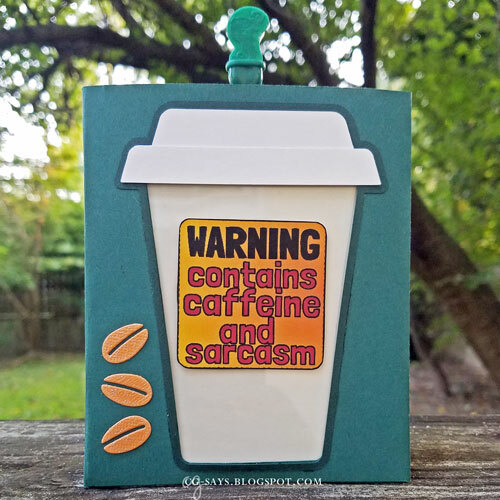 I created this Magic Card using a template I created in SCAL and the Coffee Cup Shaker Box Card by 17turtles/Juliana Michaels. The sentiments are from Doctor Digi's House of Stamps; I colorized them in Photoshop & added the gradient background in InDesign. 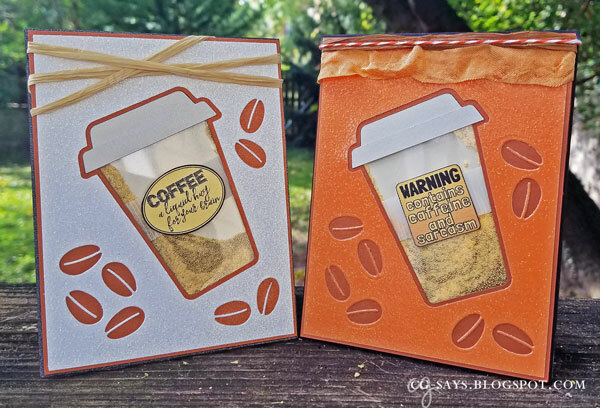 The coffee beans die is from Elizabeth Craft Designs. I used an actual coffee stir stick thingy as the pull-tab. The theme this month at Pile It On is Feathers/Scales and/or No Patterned Paper. The only real rule is to be inspired by more than one papercrafting challenge. We're sponsored by Ike's Art. Aside from her always-creative Ike's World Challenges, she also hosts a monthly Cat-themed challenge, Show Us Your Pussies; I used one of her SYUP freebies, along with this bird from an Amy Smyth/Inkadinkado clear stamp set, to create this hopefully-humorous card! The background is created with a piece of corrugated cardboard that comes with sandwiches at Panera. I colored it with Copic markers and a blue gen pen, and then added some blue glitter embossing powder. It was loads of fun to make, and I really like the texture. Our theme this fortnight at the International Art & Soul Challenge is Special Days. 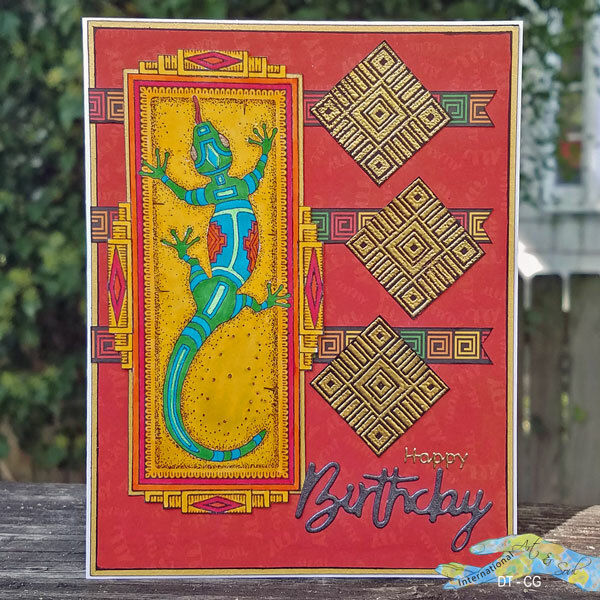 The "Framed Lizard" rubber stamp is from Stamp A Mania, a small company that specialized in Southwest-themed stamps; I colored it with Copic markers & glitter pens. The patterned paper, including the patterned strip, is from Reminisce. The diamond shapes (JudiKins/1995!) are heat-embossed in gold on black paper. The sentiment is made with a die cut & a gold sticker. 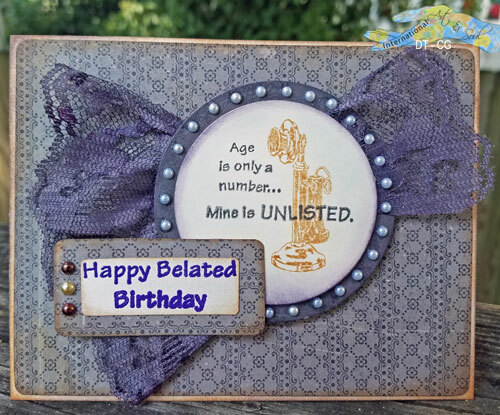 The UnstampaBelles September challenge is Sets of 3 with the optional twist of cardboard. The cactus pot (Spellbinders) & flowers (Sweet Stamps) were die-cut from the cardboard front of a package of Tim Holtz paper. 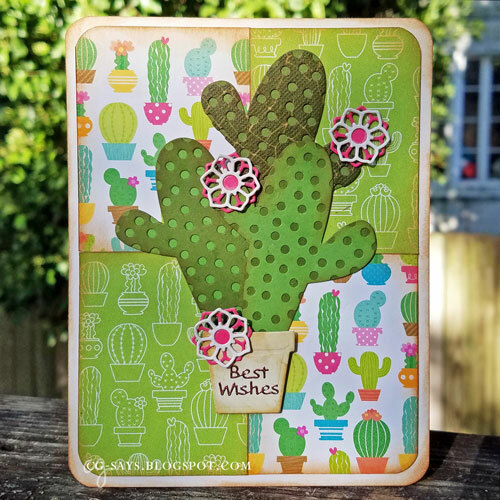 The cactus die & designer papers are from Echo Park. 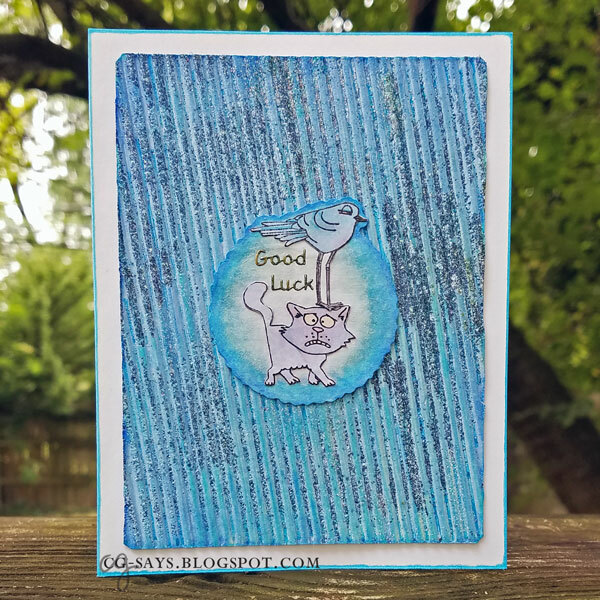 Update: This was chosen as a favorite for the HLS September Die Challenge! 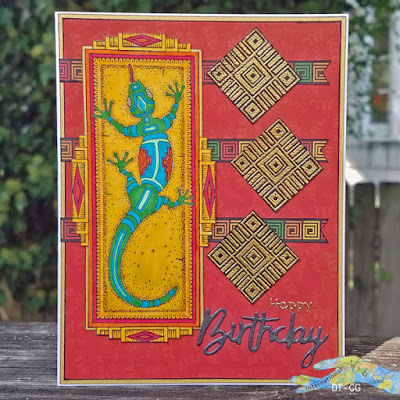 Our theme this fortnight at Crafting with Dragonflies is Special Occasion Cards. The plastic shaker is from Jillibean Soup. Update: I was a lucky winner at Bugaboo Stamps/Stella Says Sketch as well as at Southern Girls! I made this interactive card with Taylored Expressions' "Build a Scene - Calendar" die set. I cut several frames from cardboard, cutting down two layers to create two gapped sections, which I used for the little plastic sliders. I decided to get extra-silly and cut the moon/sun/cloud from magazine photos...my husband was pretty creeped out when he saw the faceless negatives on my workdesk! 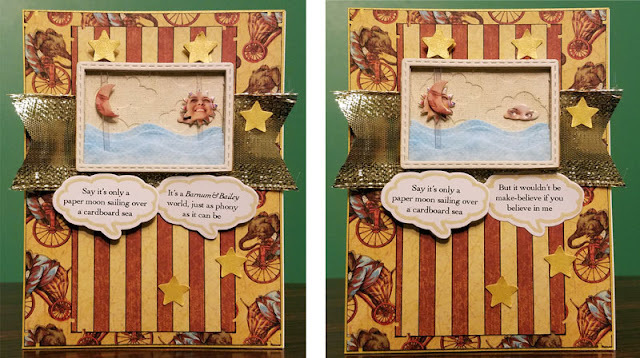 The sea isn't cardboard, the 3 pieces are die-cut from a blue medical mask. The back of the scene is made from fabric canvas, embossed with a TE embossing folder. 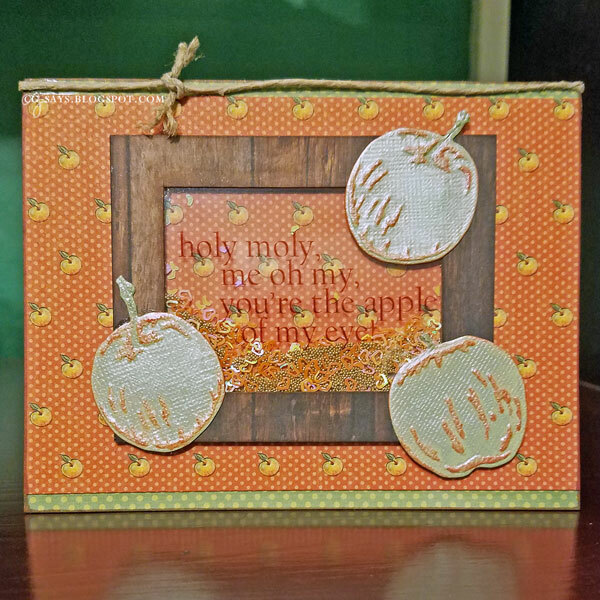 The speech bubbles stamp & die are from Latina Crafter. 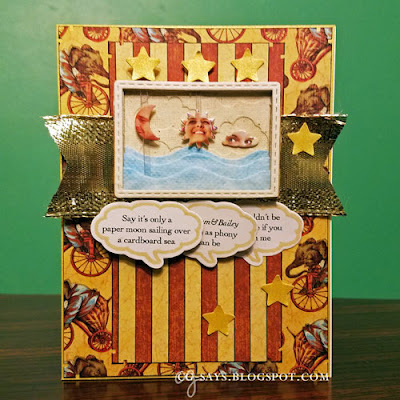 I had so much fun using the current sketch at Taylored Expressions' Share Joy challenge for my "Don't Stop Having Fun" penny slider card that I just had to use it again. This time, I used the "love bug" from their Little Bits "Transportation" die set along with some scraps of chalkboard tape leftover from my previous card. 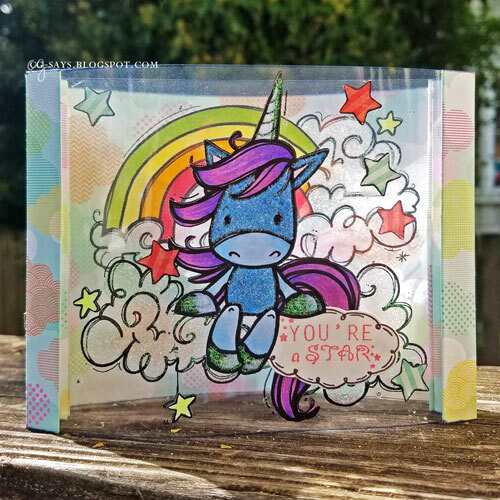 I just happened to have a stack of rainbow-inspired cardstock scraps on my table from an ongoing project, so it was super-easy to cut the cute cards. The sentiment & smiley pieces were made using the Chalkboard technique. I used the Embossing Resist technique along with the "Retro" stamp from Kaiser Craft & Peeled Paint distress ink + black ink for the middle layer. I'm going to send this to my folks...they were both teachers, and I remember Dad painting Mom's chalkboard with the standard green chalkboard paint every few years! I've enjoyed playing along with Taylored Expressions' Share Joy challenge over the years, so I definitely wanted to join their 9th Birthday Bash! 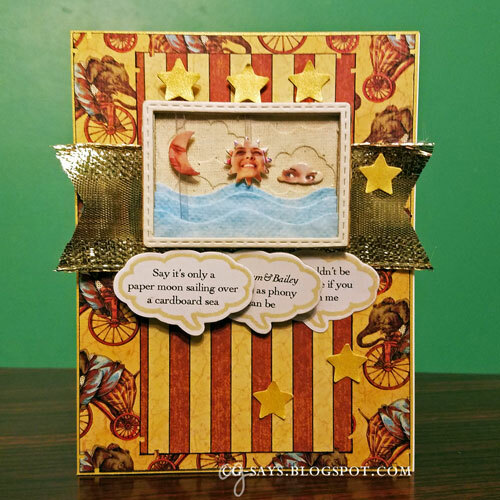 This penny slider card features their Little Bits "Transportation" die set. I used some papers that I've been hoarding to use with these dies. The striped paper & red "road" are from Cosmo Cricket's "Social Club" collection; the color combo is so unusual but works somehow! It goes well with the arrow-patterned paper from Pebbles, Inc., and the chalkboard "road" tape that I bought at Michaels recently. 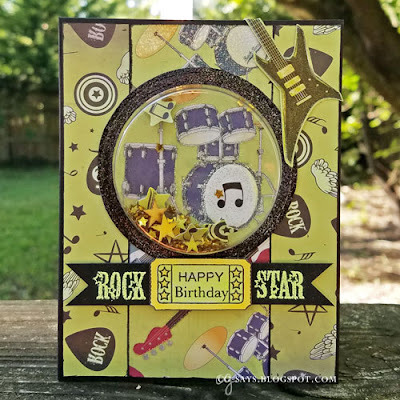 I created the circular penny slider portion with Spellbinders circle dies., and used thick cardboard to pop the raised portions. 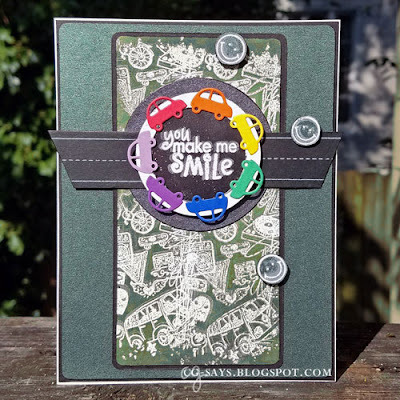 The sentiment on the truck is a Tim Holtz rub-on, the sign sentiment is fussy-cut from a patterned paper, and the small arrows are cut from a scrap of the backing paper with a Taylored Expressions die from their "Build a Scene - Calendar" set. The cars are made from thin cardboard & tin foil. I'm planning on sending this to my BFF. The theme this month at Pile It On is Feathers/Scales. 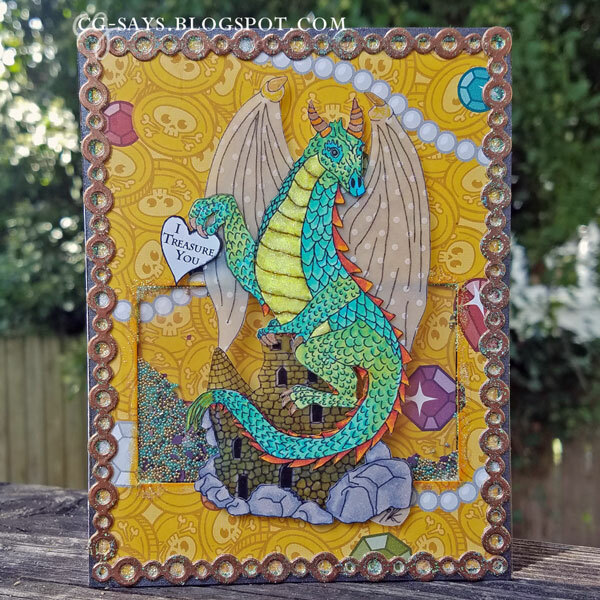 The only real rule is to be inspired by more than one papercrafting challenge. Be sure to stop back on the 3rd Sunday of the month for a bonus theme! We're sponsored by Ike's Art and I used her fantastic Dragon digistamp to create this shaker card. I digitally added the sentiment using the Charlemagne font.. The shaker portion is filled with teal & gold microbeads & a mix of jewel-colored mica bits. The bubble border is made with a die from Pink & Main; I cut it from paper I heat-embossed with Aged Copper embossing enamel. I filled the holes with glitter glue, and used the same glitter glue on the shaker frame & the dragon's belly. Update: This was chosen as a Top 3 for Ike's Mythology Challenge! Our theme this fortnight at the International Art & Soul Challenge is Lace/Pearls.